Drawing is not something I think of as particularly relevant to my everyday practice as I usually make paintings with an airbrush; so when asked to participate in this show, I found myself unsure about what to produce. 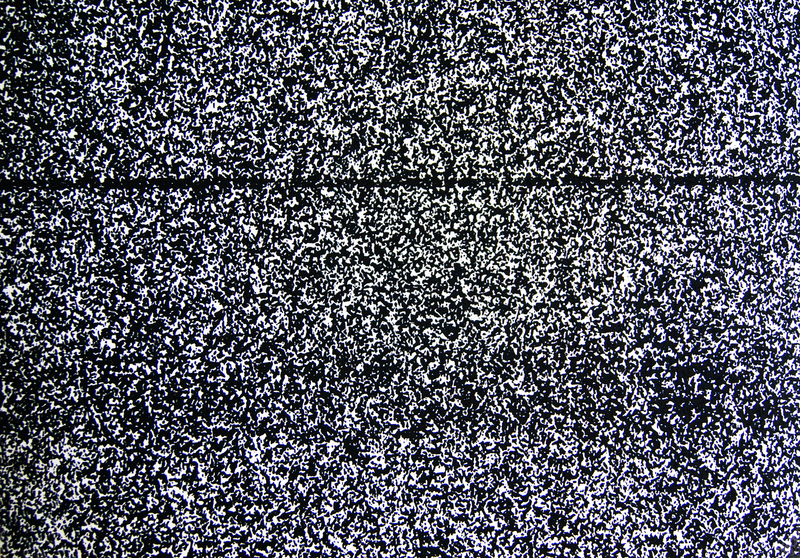 I was attracted to the idea of drawing the white noise seen on a television screen, because it reflects this feeling of being stuck, of being a subject, which also ‘jams’ itself. The image is abstract in one sense and photoreal in another – the lines are the result of my camera having a shutter speed fast enough to record the television’s cathode ray. As I worked on the drawing other aspects occurred to me. White noise is approximately 1% residual energy from the Big Bang and I liked the idea of visually representing (albeit in a small way) of this primal energy.